Levels 1-4: Just follow the arrows. Level 5: Pull and hold down the lever with one finger, and rotate the wheel with the other finger until both lights turn green. 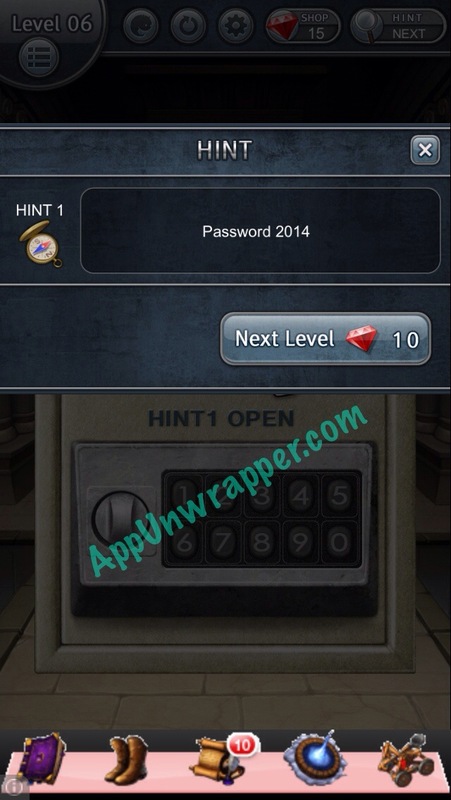 Level 6: The game makes you use a hint on this level. 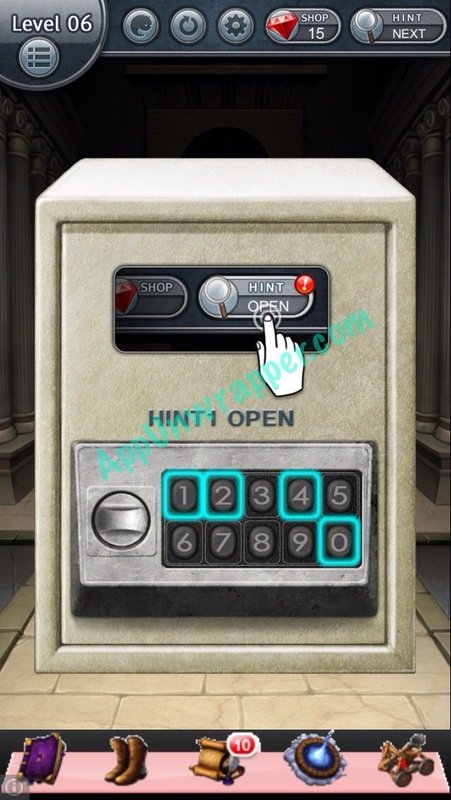 Once you do, enter the numbers from the hint (2014) and turn the dial. 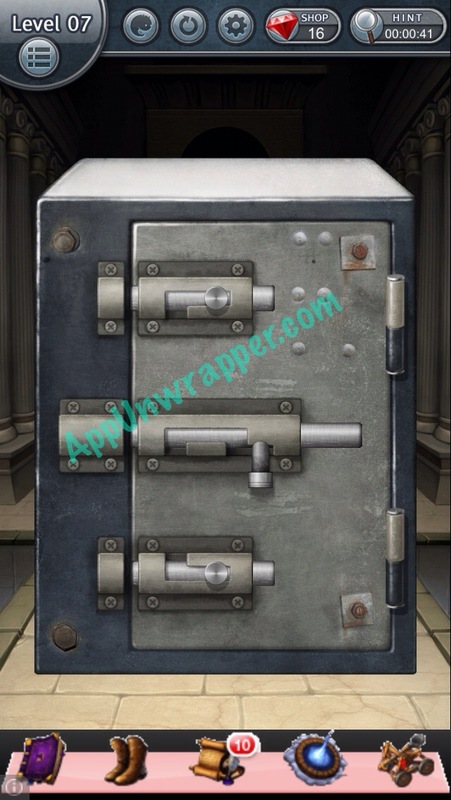 Level 7: Rotate each lock and slide it out of the way.